Sarah Ross (University of Pittsburgh), Ben Kolber (Duquesne University), Edita Navratilova (University of Arizona), Frank Porreca (University of Arizona), and Volker Neugebauer (Texas Tech University) have been recently awarded the 2017 Pain Research Challenge Award for their video submission: “Kappa Antagonists to Treat Pain”. 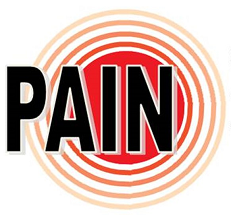 Other teams who received Pain Research Challenge Awards include: Eric Helm and Matt Koster (University of Pittsburgh and Duquesne University) – “Walking”, Christina Mair and Bridget Freisthler (University of Pittsburgh and Ohio State University) – “SADPain”, and Maria Pacella (University of Pittsburgh and COPE) – “Coaching Pain and PTSD Elimination”. The Ross Laboratory was recently featured in a radio talk that aired on 90.5 WESA on August 12th, 2014 and in an online article, What Makes You Scratch That Itch? New Research Aims to Find Out! The article discusses our discovery that B5 inhibitory neurons quell itching through the release of kappa-opioids and our approach as we continue to explore sensory integration within the nervous system. Dr. Sarah Ross was featured in the Pittsburgh Post-Gazette on May 20th, 2014 in the article, University of Pittsburgh Pain Center helps explain itching! Dr. Ross is featured for the Ross Laboratory discovery that B5-I neurons release the kappa-opioid dynorphin to quell itching, which was published in our 2014 Neuron paper, Dynorphin Acts as a Neuromodulator to Inhibit Itch in the Dorsal Horn of the Spinal Cord . Dr. Sarah Ross was featured on Pitt Medcast, a University of Pittsburgh Medical School Podcast. Listen to her discuss the circuits of pain & itch in that podcast, featured here!